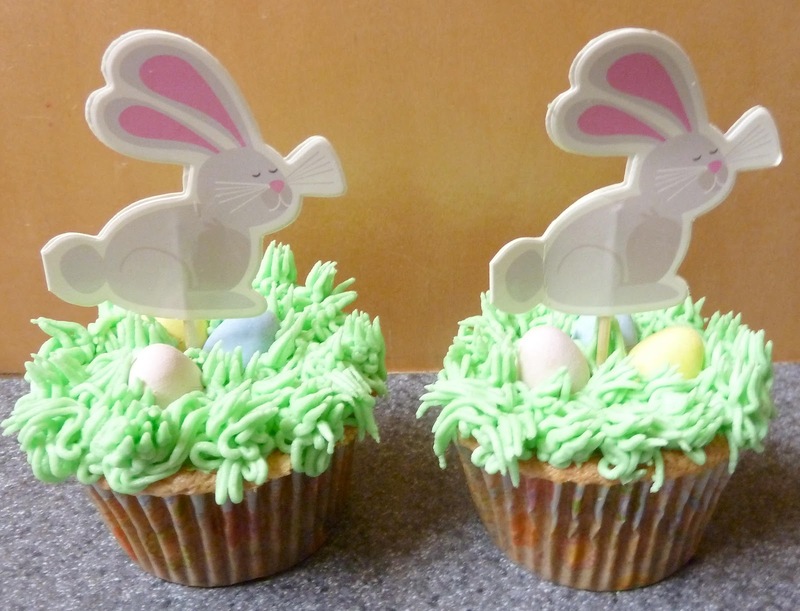 I made these cupcakes for our playgroup egg hunt and for my 4 year old's class. They were easy and very cute! For icing, I use Wilton's buttercream recipe. I change it up some when I am making white icing (see step 4 on the Wilton link) but for any colored icing, I follow this recipe. 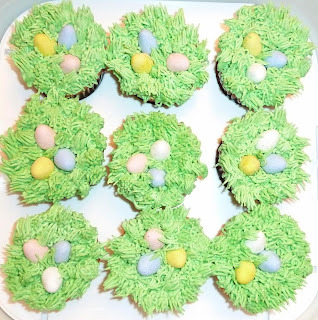 I made 48 cupcakes and 2 recipes of icing, which I tinted "leaf green". I spread a thin layer of icing on the cooled cupcakes. I placed 2 Cadbury mini eggs on each cupcake, then added grass icing in the middle, and then added the 3rd egg. 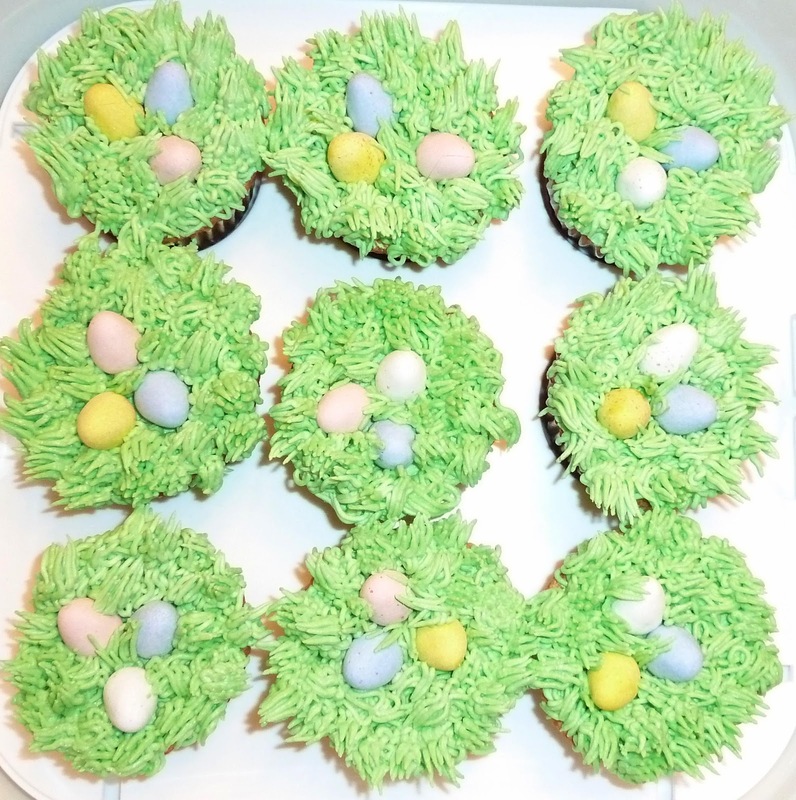 Next, I added green icing with Ateco tip #133 to make grass all around the eggs (instructions for grass technique HERE). 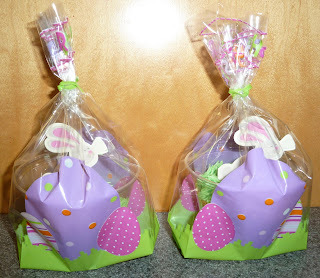 For the preschool ones, I added a bunny topper, placed them in clear plastic cups, and then placed them in cute Easter bags to hand out individually. Happy Easter!